← Smart Cells for your little ones future. Smart Cells have been kind enough to answer a few questions some of my clients have been asking regarding cord blood, cord tissue and placenta encapsulation. I do hope you find the information helpful. Your babyâ€™s umbilical cord has the greatest concentration of these unique cells. Collecting your babyâ€™s stem cells at birth is essential because it will only happen once. After your baby is born the cells that remain in the umbilical cord blood can be easily collected to use in the future. At Smart Cells we believe that saving these cells for you is the easy but essential part. Stem cells are biological cells found in the body. They serve as a repair system for other body cells and the immune system by multiplying and transforming into blood, bone, tissue and organ cells, when they are required to. These powerful cells find their way to injured cells and tissue in the body and begin to replace them. Why is cord blood and cord tissue stem cell storage so important? Stem cells are biological cells found in the body. The serve as a repair system for other body cells and the immune system by multiplying and transforming in to blood, bone, tissue and organ cells, when they are required to. At Smart Cells we store stem cells found in the umbilical cord. Storing your babyâ€™s stem cells at the time of birth is a once in a lifetime opportunity to protect your family against serious illness or disease.Â In the past the main source of stem cells came from bone marrow. Today however, weâ€™ve found through intensive research that the richest source of stem cells actually comes from the umbilical cord. How are cord tissue stems different from cord blood cells? The future of cord tissue stem cell based therapy in accordance with current scientific opinion is promising. Smart Cells firmly believes that storing umbilical cord tissue as well as the cord blood is the safest and most reliable way to store your childâ€™s stem cells. Cord tissue stem cells have been studied extensively for their ability to form bone, cartilage, nerve, tendon and skin cells. The potential therapeutic value they offer for treatment in a wide range of diseases is increasing all the time. Reports by leading scientists have shown that the Whartonâ€™s Jelly of the umbilical cord (the gelatinous tissue in the cord), is a rich source of a different, but equally important, type of stem cell. Why should I collect and store my baby’s cord blood? 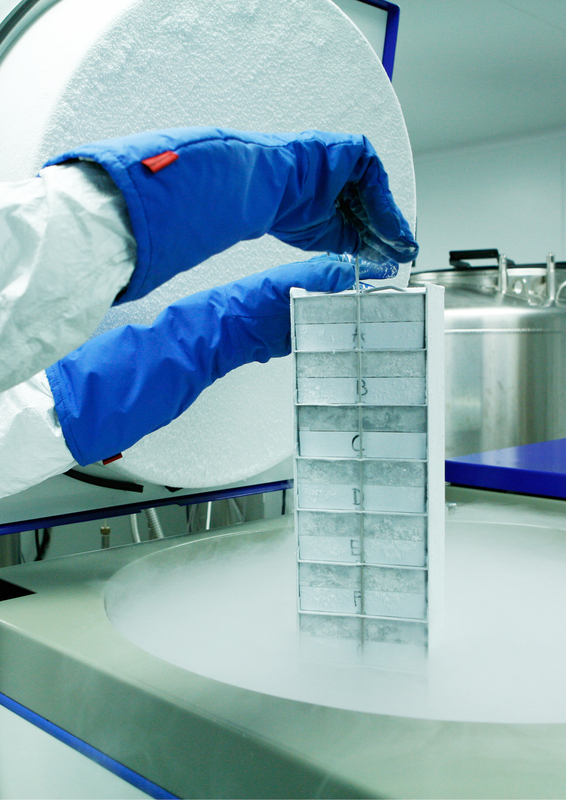 How and when is cord blood and cord tissue stem cells collected? The collection of cord blood and tissue stem cells takes place after the safe delivery of your baby and the placenta. The process is painless and we do not interfere with any birthing plans you may already have set out. Cord blood is collected directly from the umbilical cord after the safe delivery of your baby and placenta. A needle attached to a cord blood collection bag is then inserted in to the main vein of the umbilical cord and as much blood as possible is drained in to the bag. This process can take approximately 10 minutes depending upon the ease or difficulty in collecting the sample. Unfortunately we are unable to guarantee a volume of cord blood that can be processed and stored. However, the fact is that no one birth is the same with each birth brings different challenges. Factors outside of our control such as damage to the umbilical cord or placenta is not uncommon and the size of the umbilical cord and placenta will also vary. This can have an impact on the volume of blood collected. We are pleased to say that in 2014 we processed and stored 97% of cord blood samples successfully and more often than not we would expect the collection to be a successful one. Why should I choose Smart Cells? What happens after the cord blood is collected? As soon as your babyâ€™s cord blood is receipted at the laboratory, the processing will start. When your babyâ€™s cord blood arrives at the laboratory the red blood cells and the white blood cells are separated. The white blood cells, including the stem cells and any cells of current or future therapeutic value, are stored. This is referred to as volume reduced processing or red cell depletion, which is the industry standard method used by leading transplant centres worldwide. Itâ€™s also the method weâ€™re most experienced in, and itâ€™s why we were the first company in the UK to carry out transplants. 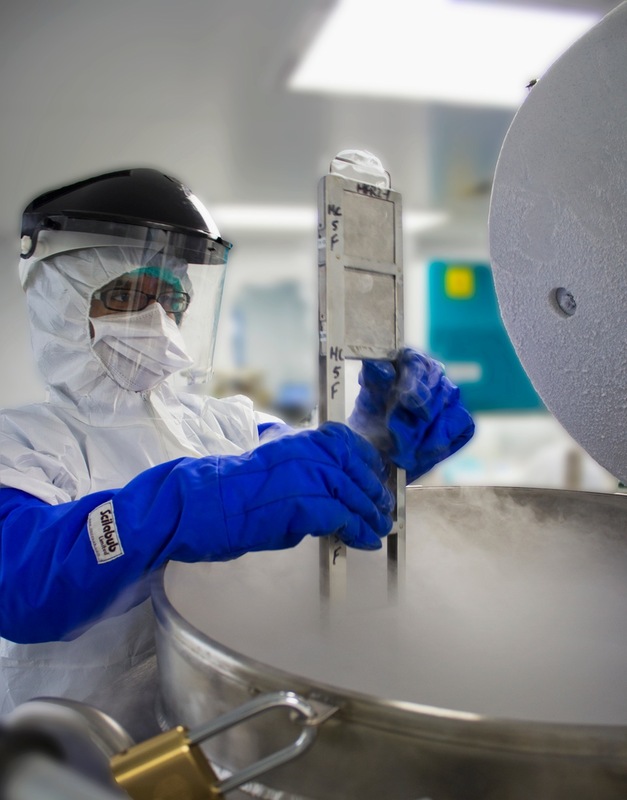 Once processing has finished and the volume reduced, the concentrated unit of cord blood stem cells is put into a dual-compartment bag, over wrapped and placed into a controlled-rate freezer where the temperature is very slowly reduced to -196Â°C. Once it has reached this temperature, the sample is placed into liquid nitrogen vapour in our long term storage tank. After weâ€™ve processed your babyâ€™s cord blood, weâ€˜ll write to confirm the cell count results. Your collection kit will contain all the mandatory paperwork and will also be clearly labelled with your unique ID number. The paperwork must be returned with your babyâ€™s cord blood for us to process the sample. Can I have my babyâ€™s cord blood and cord tissue banked and still encapsulate my placenta? Do I have to tell Smart Cells beforehand what I plan on having my babyâ€™s cord blood, cord tissue and placenta encapsulation? We would recommend that we are informed at the time of placing your order of your wish to have your placenta encapsulated although this is not mandatory. Our Phlebotomists can liaise with your representative collecting the placenta for encapsulation. In some cases we may find that we can have the same one person collect both samples for you. Does placenta encapsulation take all the nutrients from having the cord blood and cord tissue banked? No. Cord blood and cord tissue samples are taken before the placenta encapsulation takes place. Many previous clients have had both services performed and neither has been affected by the other. Will the placenta get contaminated if I have the cord blood and cord tissue banked? No. The collection of cord blood and tissue is performed within sterile conditions within the hospital or home (depending upon where you give birth). Each Phlebotomist is fully trained to minimise risk of infection or contamination and a risk assessment is performed before each collection. If the environment is not deemed safe, then a collection will not be performed. How will Smart Cells care for the placenta after harvesting it? Smart Cells do not harvest the placenta. We simply collect the blood from the umbilical cord and then approximately 10cm of umbilical cord. The placenta is then left for encapsulation or discarded if encapsulation is not chosen. Can I delay cord camping and have stem cells and cord blood stored. It is a common misconception that if you wish to have the cord clamped after it has finished pulsating, that we cannot collect a sample for you. We have collected many successful samples after a delayed clamping of the cord and would not stand in the way of you making that decision. Normal delayed clamping, or waiting until the cord has finished pulsating lasts for a couple of minutes and will not affect us being able to collect a sample for you. If you wish to delay the clamping or cutting of the cord for a prolonged period of time then this could have a negative impact on the volume of blood available for us to collect. How do I enrol with Smart Cells to save my baby’s cord blood? We will contact you to confirm your order within 24 hours. Your stem cell collection kit will be despatched to you. Call us on 01895 424430. Our advisors will explain the facts & benefits of cord banking and you your storage options..
Keep your payment method handy to place your booking fee. What collection method does Smart Cells use? At Smart Cells we use a method called volume reduction or what is sometime referred to as red cell depletion. The first reason is that itâ€™s the industry standard in the UK. Both the NHS Cord Blood Bank and the Anthony Nolan Trust store volume reduced samples, as do the majority of private banks around the world. Smart Cells also uses the processing technique employed by most public banks. The second reason is that itâ€™s safer. The freezing process used to preserve the sample damages the red blood cells, which means thereâ€™s a lot of debris and free haemoglobin in the sample when itâ€™s thawed. In turn these can result in kidney damage, post-transplant complications and blood type incompatibilities. The volume reduction method reduces the red blood cell content. This has the added benefit of minimising reactions in the patient due to blood type incompatibility if the sample is being used to help a brother or sister. The third reason is that it makes the sample smaller. This is important because itâ€™s necessary to use a substance called DMSO in the freezing process. DMSO is associated with cardiac problems, breathing difficulty and serious high or low blood pressure. By making the sample smaller â€“ and more concentrated â€“ we use proportionately less DMSO. The other advantage of a smaller sample is that it takes up less space in a storage facility, making it cheaper to store. Who will pick up the cord blood after collection, how is it transported to Smart Cells? Smart Cells have a number of dedicated couriers on standby to collect your sample from you when it is ready to be collected. We ask you to call us directly so that we can take care of this booking for you. Once a courier has been booked, we will inform you of an estimated time for pick up. While waiting for your courier to arrive, we ask you to keep your stem cell collection kit at room temperature. We have a window of 72 hours to retrieve your kit and return it to our laboratory. In most cases your kit will be collected within 24 hours unless you should be located in a more difficult to reach location. Once we have received your stem cell collection kit in our lab it will take approximately 5-7 days before we have all of your results. A member of the team will then contact you to discuss the results and a confirmation pack will be sent to you in the post.